We’ve had many years of experience building native Apple apps in both Objective-C and Swift. Whether it’s a new creation or an existing project, we can help. With the most installations worldwide, the Android mobile operating system provides a great opportunity for your app, and we can build it. A growing platform encompassing desktop, tablet and mobile applications all of which we can build applications for. We can create anything for Linux from the Raspberry Pi to huge Linux servers, and particularly handy when used with hardware systems too. Whether it’s in Ruby, PHP or any of the multitude of other web technologies we can most likely help. We have a variety of technologies from which we can draw to build any kind of bespoke business solution. 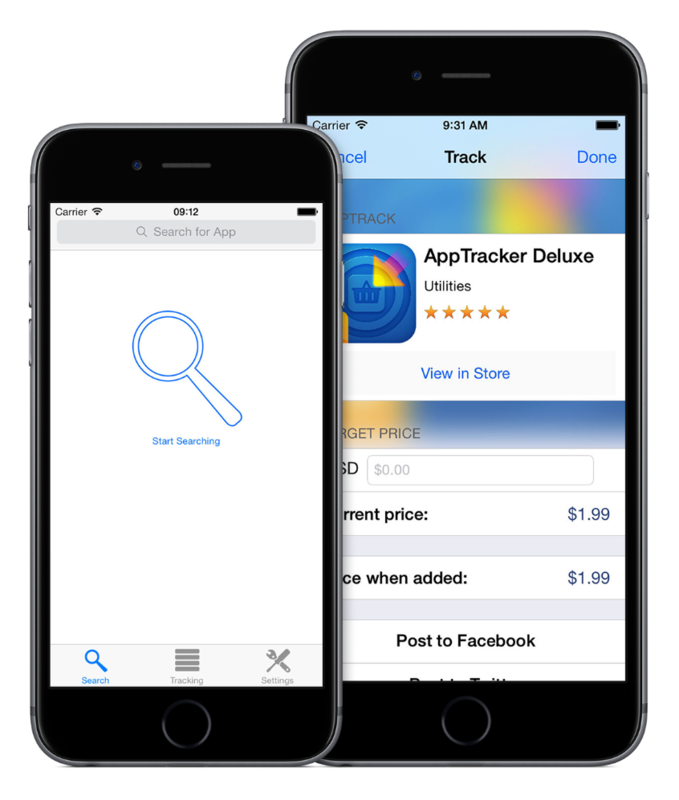 AppTracker Deluxe is an innovative iPhone application that allows the user to track the prices of and set target prices for applications on the App Store. Why not download a new and original iOS application that will help you to find new ways to save on App Store essentials? Handyman’s brand new, easy-to-use AppTracker is the perfect way to save your pennies. Using the Premium version of this innovative application, you will be able to search for and track your favourite iOS apps until they have dropped to a price you are comfortable with. After searching the app store through Handyman Interactive’s unique search tool, you will be able to add an unlimited number of apps to your personal tracking list, which will fast become your app saving directory. In addition to receiving indicators of any change in the prices of your tracked applications, you will be alerted to any of them reaching your desired price by a push notification sent by our on-the-go servers. Following this, head to the App Store through AppTracker and purchase that app that you have been waiting to buy at the price you are willing to pay. The perfect way to save on all your essential iOS needs! Just some of the businesses using our products or services. A small sample of what we do. Herd, a transport management system aiming to transform the group transportation industry. Includes administrative tools for both the bus companies and Herd employees, as well as a consumer app. A payment tool focussed on group payment systems, incorporating innovative new techniques to the payment processing industry. A social network built for those in education to help bring together and facilitate interactions between both tutors and students. A web-based application allowing for Retailers to review and appraise their Suppliers.